I am sharing a pudding recipe that I first shared during last Eid. 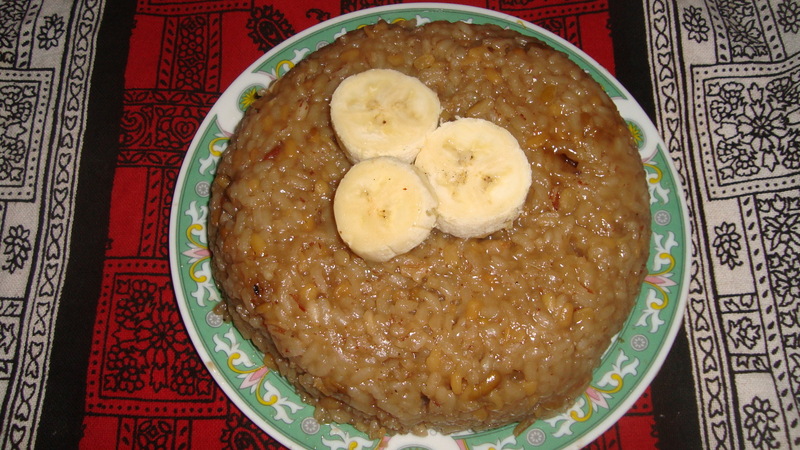 Wattalapam is originally a part of the Sri Lankan Malay cuisine but has become the most popular Sri Lankan dessert. 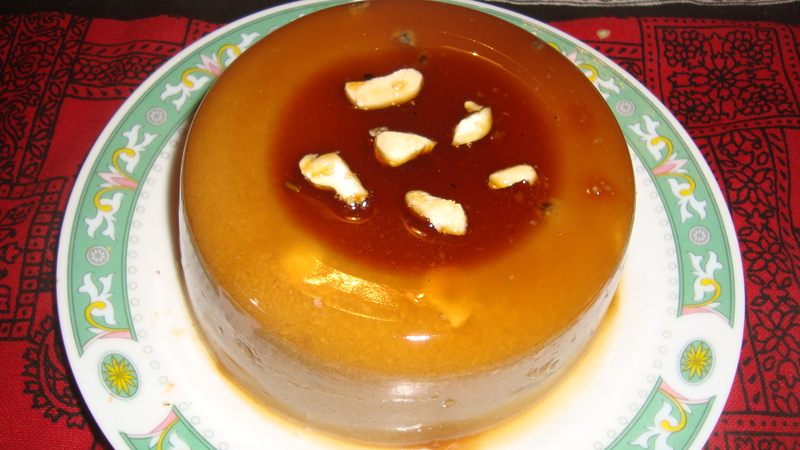 This recipe of my mother is an adaptation of the traditional wattalapam into a jelly pudding. I would like to share it at Eid Eats 2014, which I learnt about from Jhuls, an Eid event hosted by Sarah and Asiyah. I also wanted to share two music clips from MTV Coke Studio’s youTube channel. The first clip is of a Sufi music duo that I enjoy listening to – the Wadali brothers, Puranchand and Pyarelal Wadali, from Amritsar. The second clip is a song I listened to for the first time last week when I was searching for youTube clips of the Wadali brothers. Composed by Salim and Sulaiman Merchant, the song is sung by Munawar Masoom and Kailash Kher. Eid Mubarak to everyone celebrating this day! Remove the thickened mixture from the heat and keep aside to cool. Take 2 tsp agar agar powder and mix with 6 tbsp hot water. Beat the agar agar mix into the slightly cooled pudding mixture.